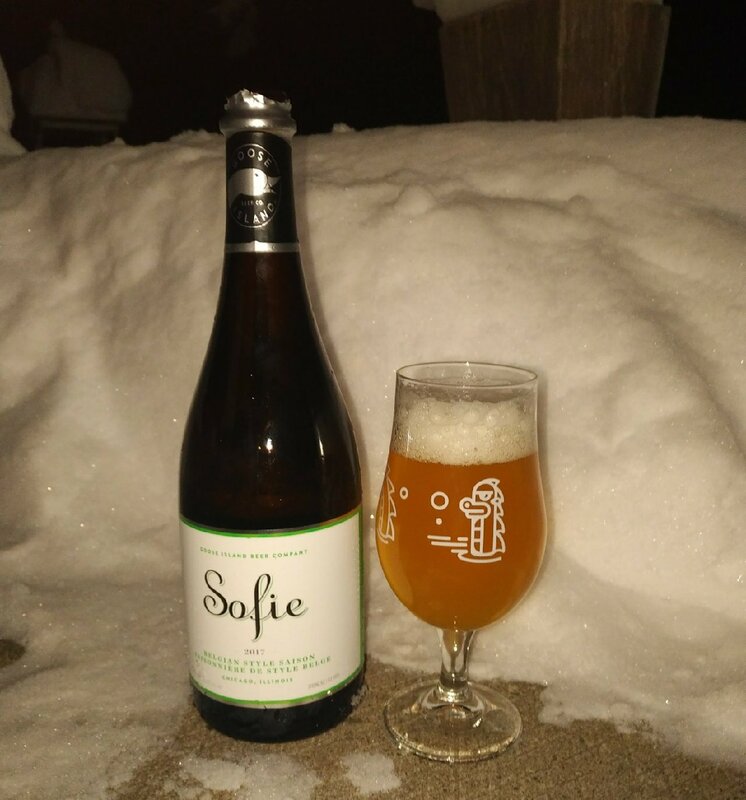 From Goose Island Beer Company out of Chicago Illinois comes their “Sofie” 2017 a Belgian Style Farmhouse Ale barrel aged in white wine barrels. The beer pours a cloudy golden colour with a white head. The aroma consists of wheat, grain, peppery, fruit, sweetness and some floral hops. The flavour is of grainy, wheat, citrus, lemon, orange peel, peppery, yeast, vanilla and sweetness. The alcohol content comes in at 6.5% with an IBU of 20. Once again this one was quite enjoyable. Last September I attended what turned out to be one of my favourite beer festivals in BC in the Whistler Village Beer Festival. The weather was beautiful and the beer was amazing! Here is last years official festival video. Last year was such a success that this year Gibbons Events Co decided to make the Main Festival happen over two days with many satellite events that ran over 5 days. The main Festivals took place on September 19th and 20th 2015. While last year had epic weather this year we did not get so lucky! But hey this is BC and we all own rain jackets so a little rain didn’t stop an epic party! I was only able to attend the Saturday Main Event which was lucky for me as the rain was not quite as bad. The festival was held at the Whistler Olympic Park in the Whistler Village once again. The event started for average attendees at 1pm (opened at 12 for gatecrashers) and ran until 5pm (last call at 4:45). I got into the grounds before the festival opened to the public and gate crashers and was to take lots of photos of the booths as they set up. This year the Resort Municipality of Whistler gave the green light to increase the festival grounds by 40% to increase the amount of breweries to around 80. This is impressive as 2013’s event was half the size of 2014! Muskoka Brewing, Steam Whistle Pilsner, Steamworks Brewin, Persephone Brewing, Big Rock Brewery, Off The Rail Brewing, Moody Ales, Russell Brewing, Red Truck Beer Company, Glutenberg, Bomber Brewing, Phillips Brewing, Howe Sound Brewing, R&B Brewing, Steel & Oak Brewing, Postmark Brewing, Lighthouse Brewing, Shacksbury, Lagunitas, Deschutes Brewing, Sierra Nevada Brewing, Double Mountain Brewing, Scuttlebut, Stone Brewing, New Belgium Brewing, Ninkasi Brewing, Strongbow, Maui Brewing, North Coast Brewing, Crabbie’s Ginger Beer, Czechvar, High Mountain Brewhouse, Yaletown Brewing, Big Ridge Brewing, Bowen Island Brewing, Fuggles & Warlock Craftworks, Parallel 49 Brewing, Fernie Brewing, Prohibition Brewing, Rider Cider Company, Whistler Brewing, LoneTree Cider, Stanley Park Brewing, Old Yale Brewing, Hoyne Brewing, Goose Island, Okanagan Springs, Unibroue, Tofino Brewing, Black Kettle Brewing, Central City Brewers & Distillers, Scandal Brewing, Cannery Brewing, Yellow Dog, Dead Frog Brewery, Strange Fellows Brewing, Deep Cove Brewers & Distillers, Doan’s Craft Brewing, Mt Begbie Brewing, Beverage Concepts, Pilsner Urquell, Spinnakers, Coal Harbour, Main Street Brewing, BC Tree Fruits Cider, Four Winds Brewing, Off the Rail Brewing, Granville Island Brewing, Hearthstone Brewing, Mission Springs Brewing. Last years attendance came in around 3,500 for the festival and this year even with bad weather beat that with around 3,000 people on Saturday and 1,300 on Sunday with a total over the five day of around 5000 people (numbers from here). Craft Beer fans are tough (and own rain gear) and we don’t stop for rain. I could only imagine how big Sundays numbers would have been on a sunny day. Like at all festivals I attend I took photos of many of the samples I drank while enjoying the event. Even with awful weather this year everyone in attendance had a great time! I still think this is one of the best festivals I have attended (even this year) as even though there are tons of people there are little to no lines and everyone is just having a great time! The only issue was a lack of washrooms probably made worse with all the rain. I am excited to see what Gibbons Events has in store for us next September! This years top three breweries as voted by Festival Goers won 1 year tap or bottle contracts at multiple pubs in Whistler Village which is a very lucrative prize! Goose Island Brewing of Chicago have been slowly pushing into Canada since 2014. Things are about to change though as the brewery is now making a big push into Canada. As the brewery puts it they are Migrating into Canada with their Migration Week. Two events were held in Vancouver for this occasion one being a smaller industry event that I attended and one being more public that I couldn’t. Goose Island Beer Co may be owned by AB-InBev but don’t let that push you away from the brewery as they are still making great beer and i don’t see that changing. Some of their core brands are not longer made in house if they were easily scaled up but things like Matilda, Sophie and the Bourbon Country lines are still brewed on site at the brewery in Chicago. The Chicago brewery is still massive with a 60HL brewhouse with more production volume than local breweries Central City Brewers & Distillers or Parallel 49 Brewing. 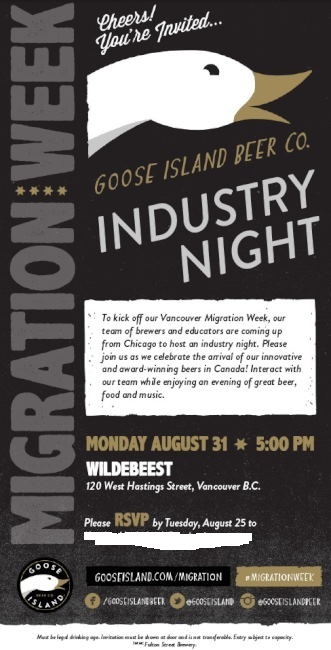 Seeing as Vancouver is one of the biggest Craft Beer markets in Canada Goose Island Beer Co brought their Migration Week to the city. Only Vancouver, Toronto and Montreal had events in Canada this year. The brewery brought with it one of their Chicago brewers and some of their educators to help spread the word about their beer and inform about their brand. They brought along a selection of beers including Matilda, Sofie, Goose IPA, Honkers Ale, Bourbon County Brand Stout and Autumn Ale. To say the people attending this event were excited to find Bourbon County Brand Stout on tap would be an understatement as this is a very highly sought after beer! Each beer had a food pairing created by the chefs at Wildebeest and all tasted amazing together! From the impression given they look to be pushing much if not all of their beer into Canada in the future. 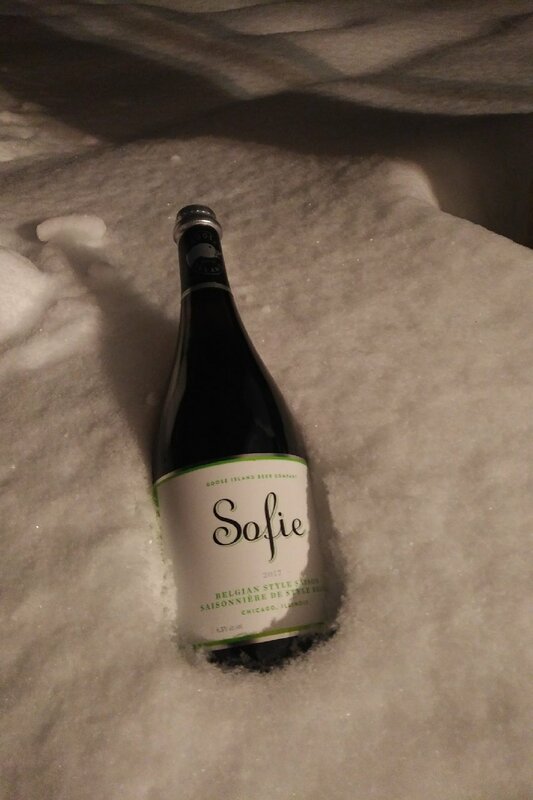 Bourbon Country with an alcohol content of between 14% and 15% will take a little more work for them as our tax laws do not consider this a beer but fear not as beers of 18%+ have been or are for sale in British Columbia. When big American Breweries push their way into Vancouver, BC and Canada it just reinforces what a growth market Craft Beer is in Canada. We may be small in numbers but we sure are thirsty! 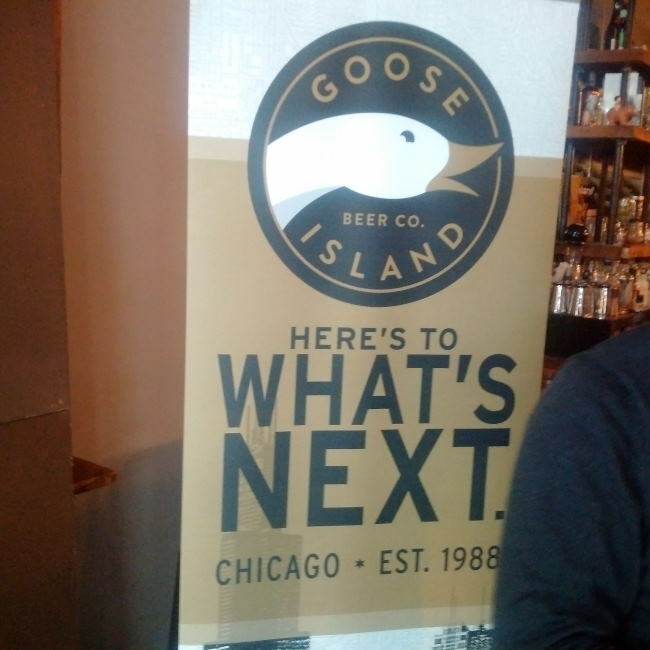 Goose Island Beer Co’s push into Canada should be exciting to both the casual craft fan and the uber geek alike! Cheers to more great beer spreading to all reaches of North America! I look forward to seeing what they have in store for us next. Check out BeerMeBC’s for another perspective on the event. Full sized photos found here. 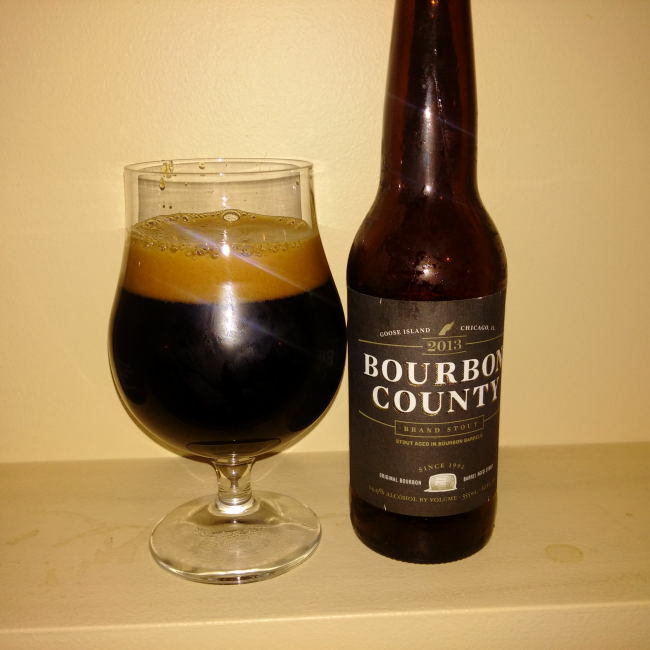 From Goose Island Beer Company out of Chicago Illinois comes their highly sought after “Bourbon County Brand Stout”. This beer has been aged in bourbon barrels and bottled on November 8th, 2013. Don’t let the fact that AB InBev purchased this brewery in 2011 keep you away from this brew as it would be a serious mistake. The beer pours a opaque black with a brown head. The aroma consists of bourbon, vanilla, toffee, roasted malts, sweetness and alcohol. The flavour is of toffee, caramel, chocolate, vanilla, bourbon, oak, roasted malts, tobacco, maybe some leather, raisins, sweetness and lots of alcohol warmth. The beer comes in at a huge 14.9% alcohol (yes you heard that correctly) with an IBU of 60. This is no tame stout and one bottle is probably enough to get you going! I would say this is one of the best stouts that I have every consumed and I have had many stouts. Commercial Description: Brewed in honor of the 1000th batch at our original Clybourn brewpub. A liquid as dark and dense as a black hole with thick foam the color of a bourbon barrel. The nose is an intense mix of charred oak, chocolate, vanilla, caramel and smoke. One sip has more flavor than your average case of beer. Recently I have been made aware of an amazing company out of New York that you can order boxes of beer from. Half Time Beverages is the name and craft beer is their game. Shipping is done inside the united states so you will have to find an address in the united states that you can ship to. Also make sure it is legal to ship alcohol into the state you are shipping to! This beer box was full of Sour Beer and Saison Beer from the USA and around the world. Most if none of these beer are available in British Columbia so you are willing to take the chance of paying large duties. This box consisted of 12 beers running from 750ml to 350ml. Reviews will come as I enjoy the Beer.